No St. Paddy's Day would be complete without a proper Irish breakfast, right? So head over to Tavern On Broad because the fun kicks off at 8 AM with a four hour open bar which includes breakfast as well as beer and well drinks. 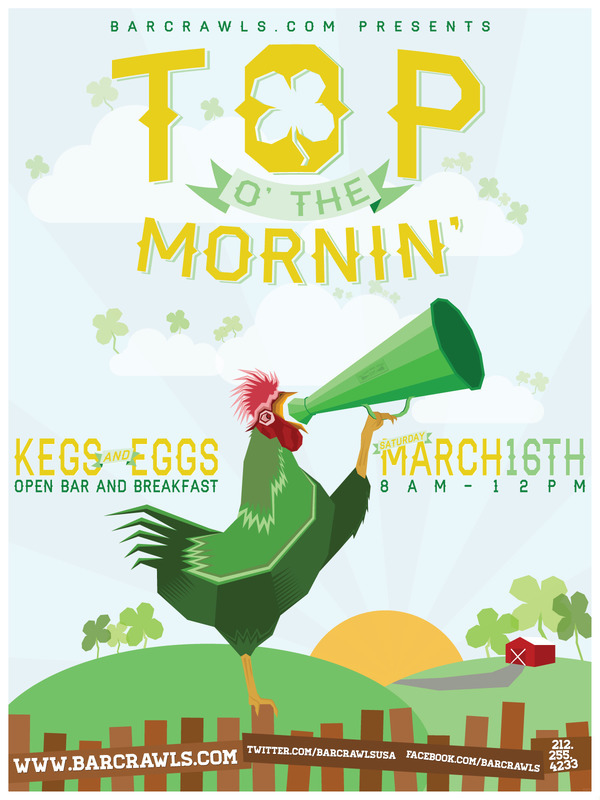 You're in luck - grab a Top O’ The Mornin’ All Access Pass which grants your access to our Top O’ The Mornin’ party and three days of crawling, the biggest St. Paddy’s Day bar crawl in town!